multiply the difference between the Selling Price and the Unit Cost by the Units Sold then subtract the Fixed Cost. divide the Profit by the product of Selling Price and Units Sold. 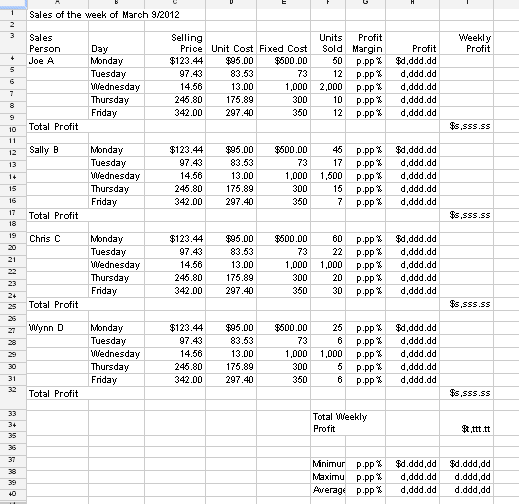 add the Profit for each day of the week for each sales person. add the Weekly Profit of each sales person together.